The field of method engineering has seen an increasing amount of interesting approaches and techniques over the last ten years. The coverage of these techniques ranges from the modeling of processes and systems to the situational construction of new ones. However, access to the required domain knowledge is often not available, and the effort required for effective method engineering is in most cases too much. 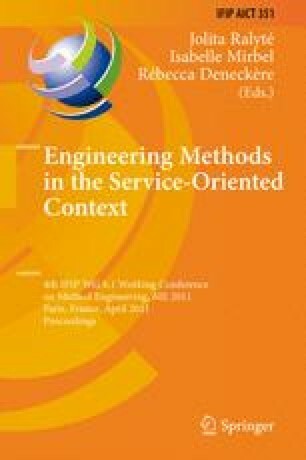 To overcome these problems, we propose an incremental approach for process assessment, process improvement, and process execution, based on method engineering techniques and tools. The approach is implemented in the Online Method Engine; a holistic solution that supports these three aspects. In this paper, we give a conceptual overview of the approach, along with an overview of the current state of development.